Perhaps a surf locale you've never thought of exploring or tapping into, but there's a rich, 2,000 km plus coastline on the island of Sardinia, with a plethora of decent setups that can really turn on when the conditions align. Nuzzled in the heart of the tideless Mediterranean Sea, you'd be forgiven for overlooking Sardinia as a destination spot. And, pop quiz, what do you think when you ponder the Med? Small, weak surf? Wind-ridden and days on days of flat surf? Well, that's semi true, but then also, larger days aren't uncommon around Sardinia, with regular mistral winds comfortably creating double overhead days. And yes! We have forecasts plus a spot guide right HERE for you. But it's the unique culture and sense of place that makes Sardinia special. If locals aren't in the water, it's huge cook ups with family, friends, or exploring the island's diverse landscape. There's a warm sense of community, synonymous with island life, woven throughout the cultural tapestry of Sardinia - and it is unlike anywhere else in the Old Continent. And now, the first ever surf documentary about the isle has just dropped (watch trailer above) where you can have a little glimpse into that lifestyle. Back to the Roots features Alessandro Piu, born and raised on Sardinia and a few friends including Frederico Nesti. It's a heart-felt, stoke-laden handhold through their home country – with all the trimmings that go into a well produced surf docu. Anyway, considering not everyone from surfing's wider community knows about Sardinia, we decided to check in with Alessandro to talk about, well, everything; the film, waves, culture, the vibe, surfing's history, conditions – and an untrodden path where incredible waves remain unridden. Tell us a bit about Sardinia Island? AP: Sardinia, wow, it is a magic island, a land that can surprise you anytime with its landscapes around the corner, with its culture, its history, its waves and with its fun people. Sometimes, when I am surfing here, I feel like I am living in a dream, 'cos I think; Ok I am here in the middle of Mediterranean Sea, surfing pretty good waves while I am surrounded by beautiful sceneries (sometimes even while I am surfing alone) and it makes me feel so lucky and grateful. This island has strong roots, and its culture is kinda unique. I’ve been traveling around the world since I was 13-years-old and every time I come back home I feel like I never felt anywhere else, not just because it is my home land, but because this island has a strong energy and because it hides many secrets. You can get lost here and then find yourself, that’s just beautiful. Yeah, I have been into surfing since I was nine-years-old, my father and my uncle were pioneers so they introduced me to surfing, they both taught me so much. First of all how important it is to respect the sea and friendship. I remember, one day, I watched Big Wednesday and than I fell in love with the surfing world and everything that surrounded it. My father used to take me around the island often in search of waves with my family, so day after day I met all the pioneers. 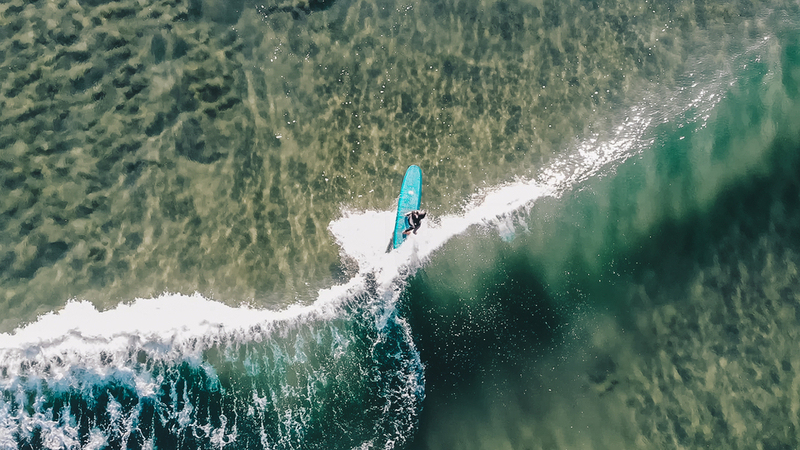 I remember I was so happy to feel part of the surfing community of the Island and understanding, since I was a grom, that surfing is not all about getting your wave and making a cool move; it’s way more than that. I truly believe that surfing has lots of deep values that help us during our life. Sardinia Island has always been like, my little secret land for surfing, since I was a grom I remember I'd been surfing many times with just a few mates out, or finding my self alone in the water getting barrels, hoping to see a car coming with another surfer to share the waves with. Amazing to hear about the culture. But you don’t really associate the Med with having waves, what kind of waves are there? I know it sounds unbelievable, but here we have more than 200 days of surfable waves each year. Yeah, here there is no tide, so when the conditions are good, they can stay good all day long, but when they are not good they can remain that way all day too. Even if we have many surfable days, it’s always hard to find the right spot...even if you know this place, the Mediterranean sea is very unpredictable. Sometimes you expect to surf solid waves and then when you get there you find three foot waves and that’s it. Here you surf what you get, you have to jump in the water, enjoy the place and the vibes, then maybe if you are very lucky, the conditions might change in few hours and the sea can wake up. 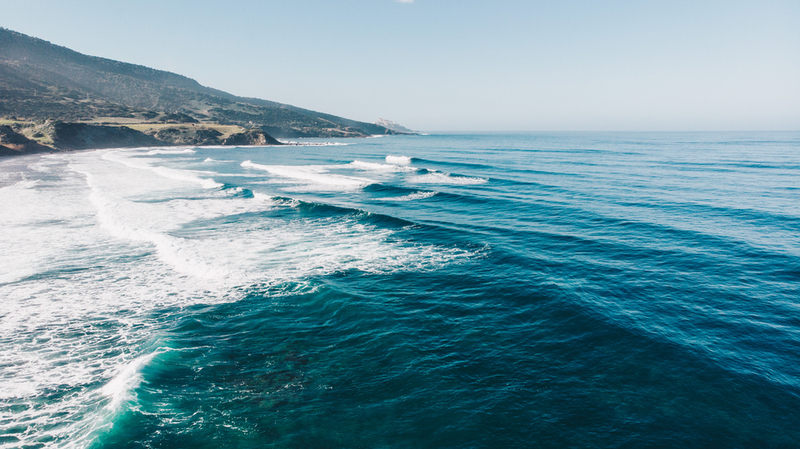 The most solid waves you can find are probably on the west coast and on the north part of the island, because those coasts get more fetch then anywhere else, but some days if you drive around the island you can find solid waves even on the south, and east. It’s important to know that in the Mediterranean sea, good timing is everything, when we are talking about waves. During my road trips around the Island I found also some unridden waves, especially pointbreaks, and I think that’s one of the best things in surfing, when you discover a new wave, then you feel like you are living a truly unique moment. It sounds a rarely surfed place, perhaps hidden away from the prying eyes of explorers – maybe even unridden waves as the trailer suggests. What’s the surf community like? People are nice here, they have strong values and they respect each other. There are some hot spots around for sure, but they get crowded on some specific days. Oristano has one of the strongest communities of the island for sure, there we have some of the most famous spots of the Mediterranean sea. So, especially when it’s windy, everybody goes there, but the crowd is nothing if we compare it to places like Snapper, Mundaka or Hossegor. Even if I find 30 or 50 people in the water it’s fun, because we all know each other and for me the community here is like a big family, I like to share the waves with them and then go to eat some good local food with my friends. Sounds idyllic! What kind of conditions are you looking for? I believe the best time here for surfing is in the winter season and also when the seasons start to change, because the atmospheric pressure gets lower and the bigger storms are able to push with all their power. One of the problems in the Mediterranean sea is when the pressure gets high, which impedes the waves from being generated, while in the winter time the lower pressure helps it build. Here the swells are pretty much from W/NW/W/SE, around 70 per cent of the swells come from the W side. I love winter here, specially because during that time, the inside part of the island gets really cold, generating a morning offshore wind, even when the swell is still pumping, this cold wind stops the on-shore wind, it’s just great. 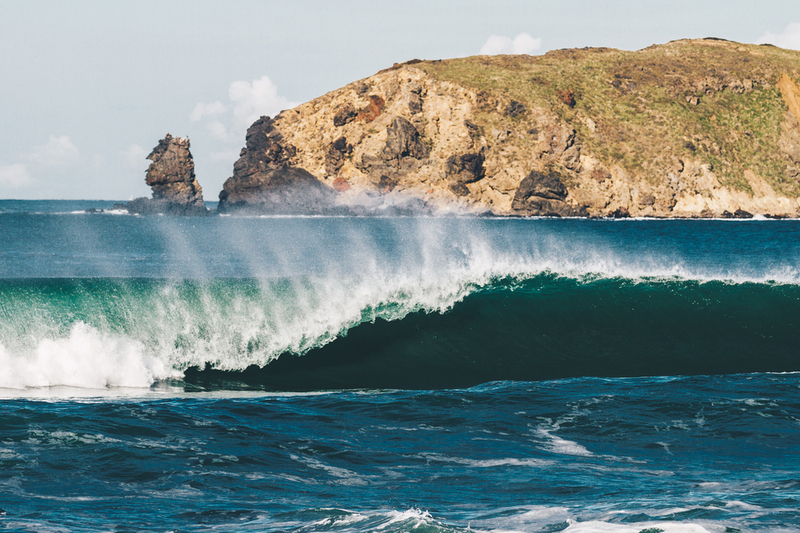 What made you want to make a surf movie about this untapped land? Since I was a little grom, I have been lucky enough to understand that being a surfer is more about meeting people, discovering places, meeting other cultures, sharing experiences with your friends, staying in contact with Mother Nature and also be grateful for the life you live. I always wanted to create something that could give justice to this place for what really is, at the same time I wanted to transmit to the people my idea of surfing, the way I see the world and how much I do care of this island and its community. It’s something really hard to explain in words, so I decided to make a surf movie, the first ever Sardinian surf documentary! I started this project almost six months ago, with my good friend and cameraman Gianluca Fortunato, he is a great person, crazy enough to follow me in this adventure, then I involved other great people and surfers like Federico Nesti, Alessandro Ponzanelli, Graziano Lai and many others, now I can’t believe that we made it and I am actually sitting here, talking about it in an interview. That makes me really happy and proud. Just few people in the world knew the potential of this island, and I thought now it is the right time to show the world what you can actually find here with a bit of luck, something that you did not expect to find in the middle of the Mediterranean sea, an authentic treasure wrapped by its secrets, a land that does not always reveal its riches, but that when it does, it can leave you breathless. You’ve travelled further afield too. 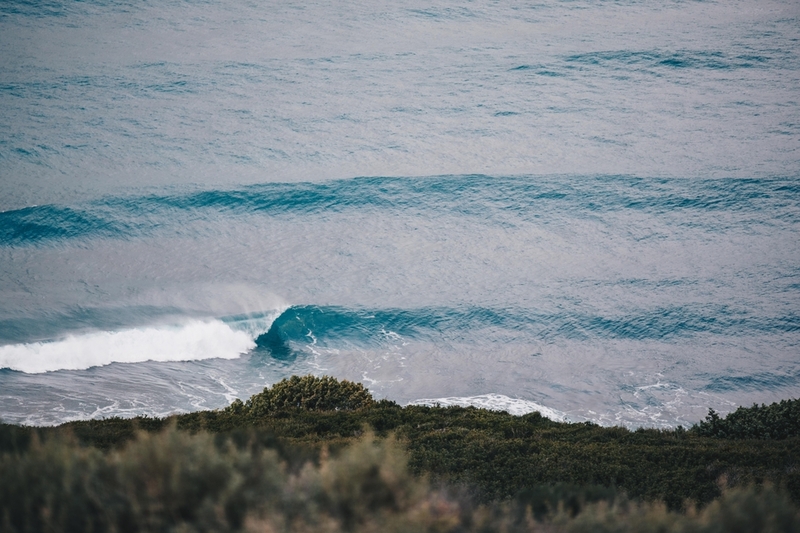 How does Sardinia compare to other surf locales? Yeah, I've visited many places around the globe, I have different stories to tell for each place I have been. 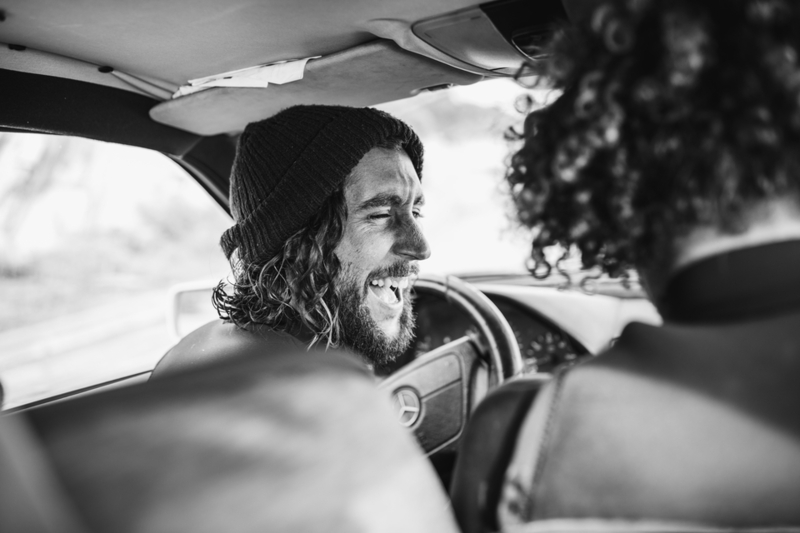 I love doing road trips, in Australia I had the best time, I spent lot of time in Indo as well and I have been surfing the fjords in the north of Norway with my good Swedish mate Tim Latte, we had an epic and very cold time. I still go travelling, I love it, it's a part of me, I learned a lot of good things from travelling the world. I think you can grow up quickly by seeing other places, cultures - you can learn how to model and open your mind, even when you are older, travelling keeps you young inside. I believe this island has some kind of connection with other places that are located on the other side of the globe, like Australia. I spent five months every year for three years over there, up and down with my car on the east coast, surfing great waves and seeing incredible places and beaches, I believe that some places in Sardinia have common things with OZ, in fact when my friends from Australia came here some years ago, I remember they were pretty stoked to see many similarities with their land and at the same time they were stoked to find such quality waves and really good food. It's incredible those similarities have been drawn and yet Sardinia remains relatively unknown on the surfing globe. What makes it so special? Here, every coastline is different, to me it looks like Mother Nature decided to unplug pieces from different areas of the planet and decided to stick them all together, creating the island of Sardinia. In this documentary, you'll notice how different and varied the island is with its landscapes. Even if I have been travelling for years, that remains a pretty unique feature I believe. The climate changes pretty often, month by month and the nature with its forests and woods creates pleasant scents. This is one of the first things you notice when you set foot on the island, just before reaching the coast, where you can get enthralled by its beauty. Apart the landscapes and the coast, I believe the island is special because of the people that makes Sardinia – Sardinia. The culture is something strong here, at the same time the local people love to share their uses and their customs with whoever comes over to visit the land. People here are sincerely warm and that envelops your heart. Many people come here for a visit then find it hard to leave. So, it sounds like you can surf all around the island, right? 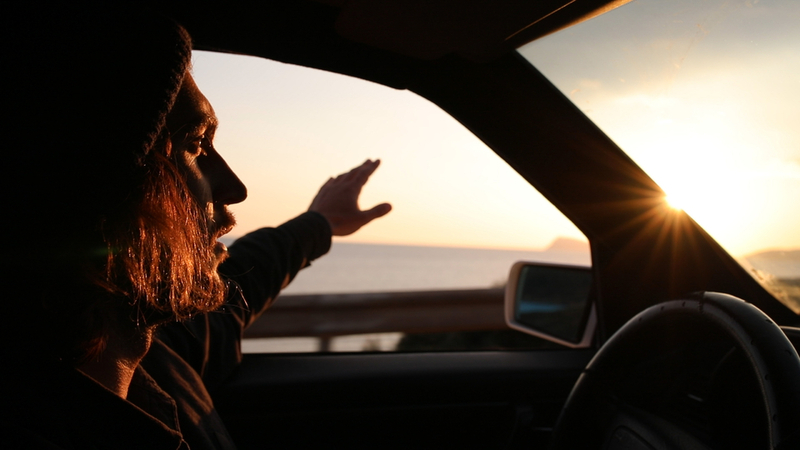 I like to surf everywhere here, when I am at home I like to take my old car and start driving with a few mates and go in search of waves with them, sleeping in the car or on the beach, it’s just great. But I mostly surf swell coming from the west side, so on the west coast is where I spend most of the time, going up and down and finding different waves. But what about when the waves are flat, where do people go? Everybody has work to do during the flat days you know, but people here love to keep living on the island even out of the water. People love to go to the ancient places and spend time there, making a fire and then cooking for their friends or family. We believe those ancient places have a strong energy that regenerates your self and at the end of the day you have spent a good day in a beautiful place and at the same time you feel pretty good and positive. And what about entertainment when there's a real drought? There is a lot to discover here, so me and my friends sometimes we go on new adventures around and inside the island, it’s very fun. Sometimes we discover incredible places that we have never seen before. We just check on google and then we go. Also people go to the beach even if it’s flat, maybe just for a swim, when you have crystal-clear water, it’s nice to have a swim and then just relax on the beach that has thin white sand. Some people do other things, like other sports, or they just keep talking about surfing or they make a big lunch with all the family. 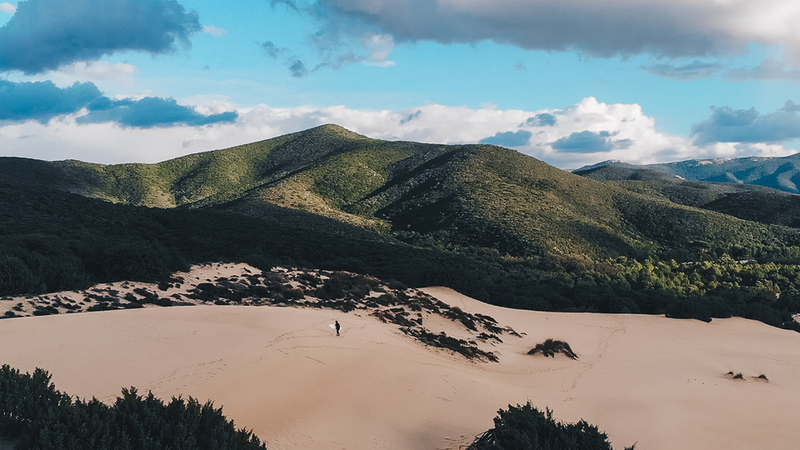 I believe you never get bored here, if you have a bit of spirit of adventure and you are able to appreciate what Mother Nature gives to you every day, you can always have the best time in Sardinia. Back to the Roots is available to watch HERE. Cover shot by Giulia Mameli.